Introducing the new MS+ Design Cards. So ... what IS MS+, you ask? 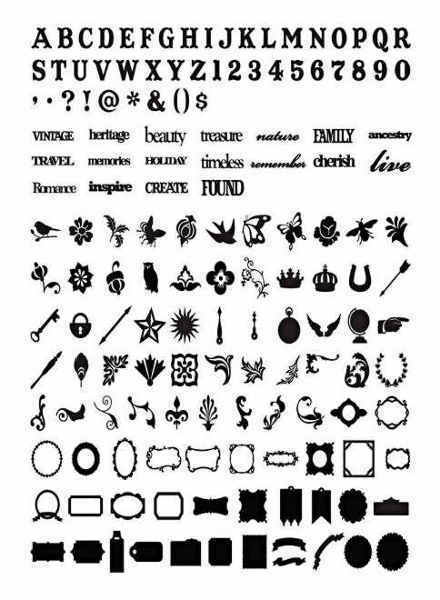 Let us tell you! It's a Mirroring, Shadowing Plus Speed upgrade. The MS+ cards will install the Speed Boost update on your Making Memories Slice so it will be faster regardless of the Design Card you use. The Mirroring and Shadowing will only work on the MS+ Design Cards. Mirroring allows you to flip an image making embossing and debossing simple. Shadowing adds dimension by layering shadow die-cuts. The MS+ card also includes the Speed Boost upgrade making cutting even faster. 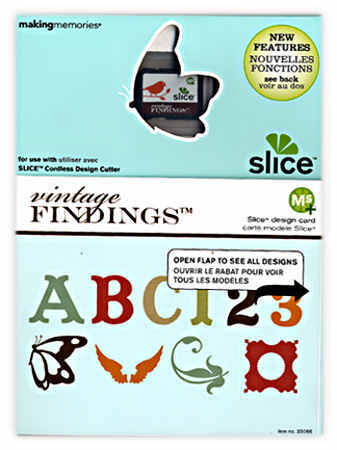 The Making Memories Slice Vintage Findings Design Card is designed for use with the Making Memories Slice Cordless Design Cutter.